Meee recently delivered four, half-day sessions to Mountain Lane Primary School, Buckley and Ysgol Rhos Helyg in Rhosesmor. The purpose of the sessions was to help pupils become more aware of who they are and engage more with the joys of education and learning. The Meee Education Programme gives pupils, staff, and parents the chance to explore school, education, and learning in a safe, engaging and inspiring environment. Our aim is to promote school and the wonderful education system that we often take for granted. 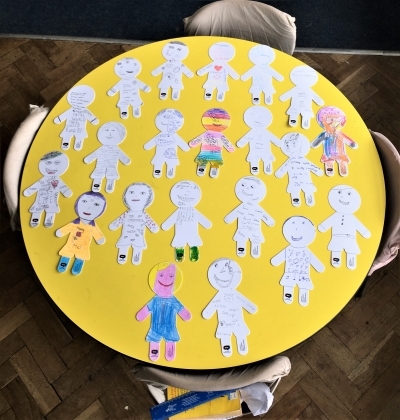 Mrs. Zachary, a teacher at Mountain Lane said: "It was a great opportunity, as a teacher, to sit back and observe my pupils learning together, which is something I don't get to do often. It was amazing to see so many of them consider kindness and family as the most important keys to their success." One aspect of the sessions saw pupils work together as part of a group to discuss what success means to them. Pupils from both schools stating kindness, love, family, pets and a job you enjoy to be among the most important things they wanted to achieve. It was a fantastic opportunity for pupils to explore plans for the future once they leave primary school. For many, concerns were raised about the size and pressure of moving to high school. By exploring resilience, confidence and thinking, each pupil left the sessions better equipped for what the future brings. When discussing the difference between logic and emotion, students were surprised to learn that our hearts typically rule our heads. After an open discussion about what they thought about school, one pupil said: “we make better decisions when we feel something”. It is definitely true that a love for learning, coupled with support from teachers and parents, enables pupils to have a much more positive experience within the classroom and outside of school. Some aspects of learning throughout the sessions included the importance of having a positive attitude, being curious and giving 100% of your effort. We also discussed the importance of working at things that will make each individual happy and not worry about the opinions of others. The pupils at both Ysgol Rhos Helyg and Mountain Lane loved the sessions and asked for more from Meee in the future. They felt happier and more content about learning and were looking forward to what the future has to offer. We look forward to working with more pupils, staff, and parents throughout Wales, to bring the magic of learning, belief, and resilience to everyone.